TED stands for technology, entertainment, and design, and their sold-out conferences draw speakers who give fascinating talks about everything from how to spot a liar, to why we should create an education system that nurtures creativity. No ticket? No sweat: over half a million people per day watch TED Talks for free on TED.com alone, an award-winning site built around the 31-year-old non-profit’s “ideas worth spreading” slogan. We’re proud to say that TED is an InVision customer. 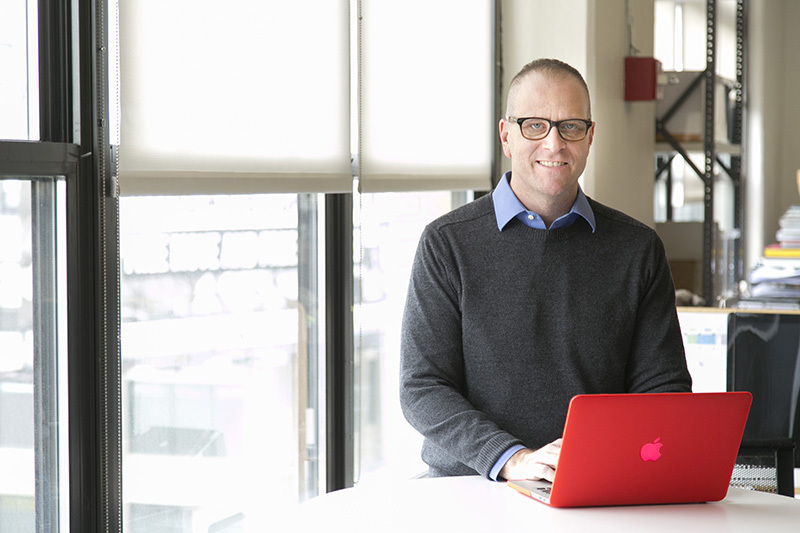 I sat down with Michael McWatters, UX Architect at TED, to discuss design thinking, the challenges of working at a nonprofit, and the most valuable thing he’s learned so far at TED. 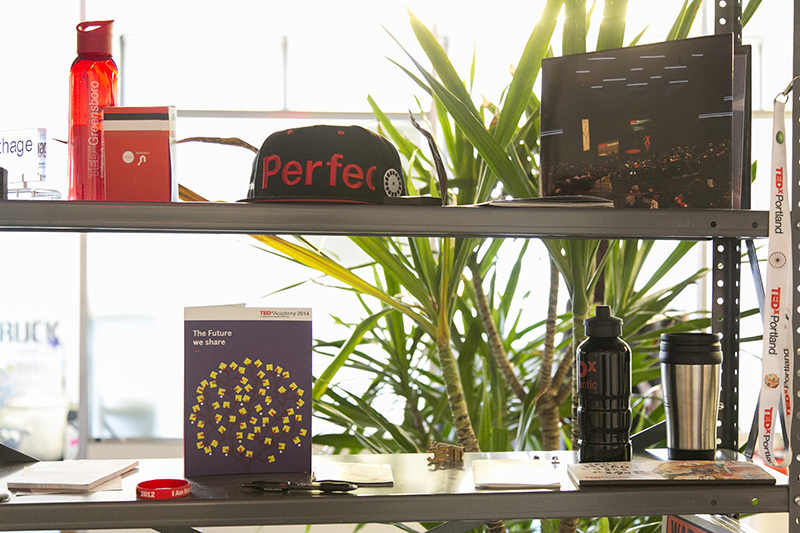 How’s the UX team set up at TED? 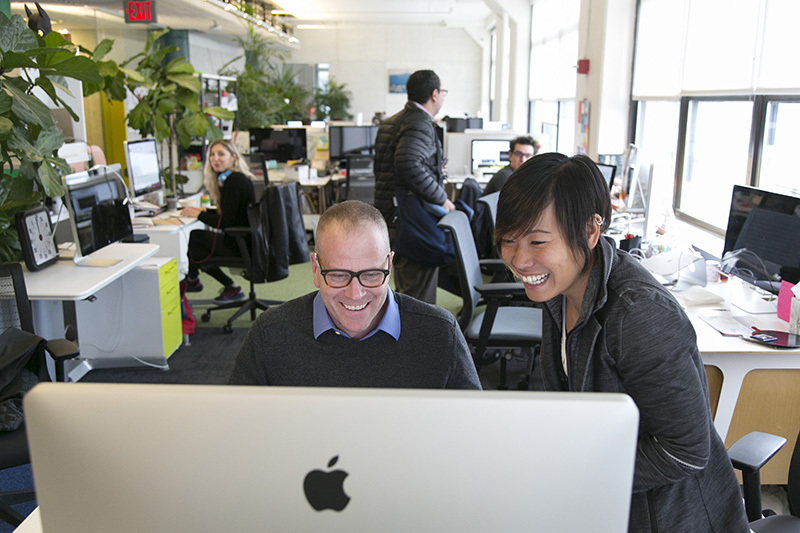 Aaron Weyenberg and I are the 2 UX practitioners in the product team, which is itself part of the larger tech team. Since we’re tightly integrated with the product and engineering teams, we’re able to get involved early and often in the development of new products and services. As a non-profit, we’re a relatively small bunch tackling dozens of projects, and we wear many hats. Aaron and I work on a variety of public-facing products and services, and I help strategize and design most of our internal tools. 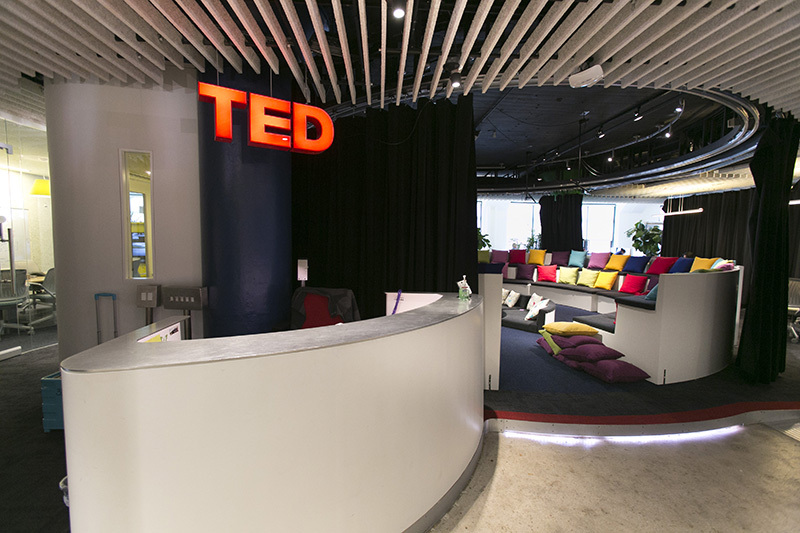 Our team supports TED initiatives including our conferences, TEDx Program, TED Fellows Program, Open Translation Project, TED books, TED-Ed, TED Prize, TED Institute, Partnerships, Distribution, and more. We’re a lot more than just videos online and in apps. Occasionally we partner with outside agencies and freelancers, but we’re always at the core of things. The biggest project we’ve done in the past 2 years is the complete redesign and rebuild of TED.com. The previous site was launched several years ago when online video was really in its infancy, so there was a lot of work to do to make it a modern, accessible, mobile-first experience. What are some of the coolest things your team’s built recently? The great thing about working at TED is that there are always so many great things going on, from the complete redesign of TED.com, to our various mobile and TV apps, to TED Live, our live conference streaming site, and much more. A lot of great public-facing stuff. That said, I’m equally proud of the various internal apps and tools we’ve built over the past couple of years—tools which are essential to helping TED realize its mission of spreading ideas globally, for free. We’re also in the process of developing a revised intranet that will give staff easy access to great resources, tools, and collaboration features. For me, designing tools for my colleagues—tools that help them be more productive and engaged—is something I find very meaningful and enjoyable. 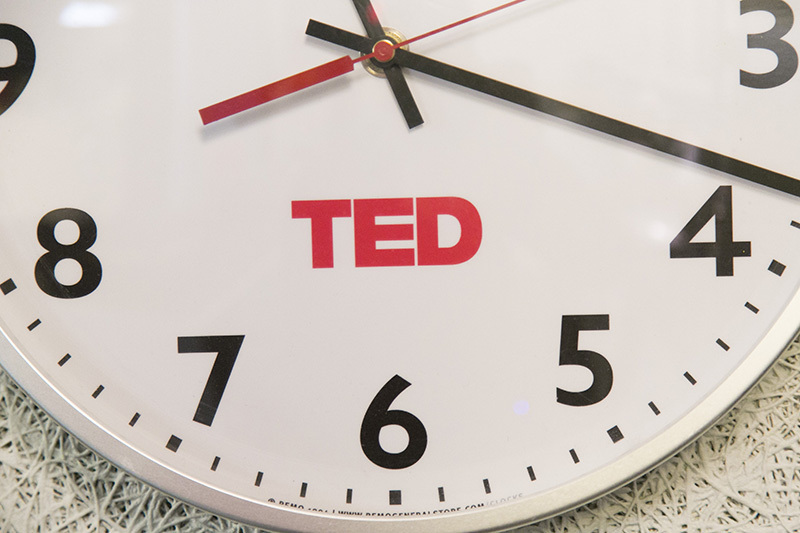 What’s a typical day for you like at TED? There’s no typical day, but there are some common themes: very few meetings, the option to work remotely, and the ability to use whatever tools and processes we like to get the job done. It’s not uncommon to shift back and forth between small fixes and big projects in a single day. Semiannual tech summits and an annual TED staff retreat add variety, and every other week we have Learning Wednesdays, a day to increase our knowledge on a topic of interest. 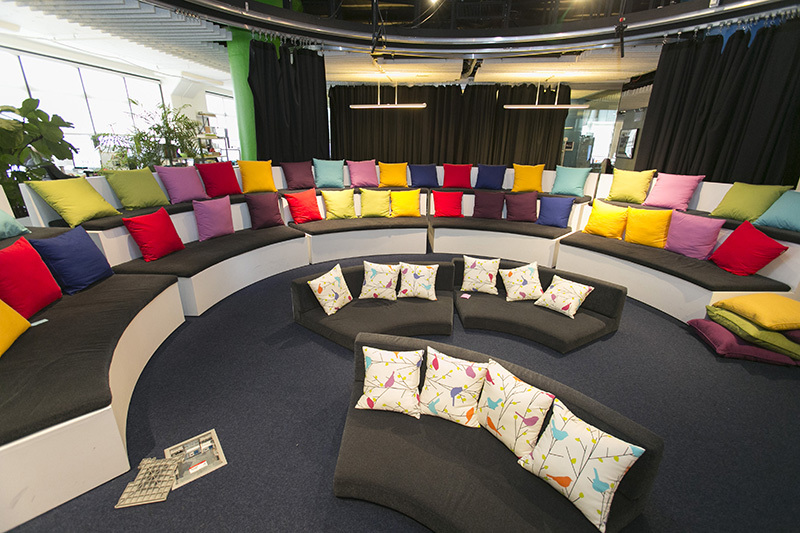 What’s the design culture like at TED? We believe the primary purpose of design is to engage and communicate, and in the case of TED, that means its primary function is to help spread ideas. We strive for simplicity, clarity, humanity, and timelessness. It’s a no-ego culture—the best idea wins. What are some of the challenges you face as a small team at a non-profit? We have more ideas than people to make them come to life. In every other regard—culture, collaboration, mission, projects—it’s an incredibly positive experience. We collaborate well in part because of tools like InVision and Flowdock. I’m as engaged with our remote staff—only 50% of the tech team is here in New York—as I am with people who sit just a few feet away, and that’s only possible because of these great communication and collaboration tools. We also take time to collaborate in person. Twice a year, we have a tech team summit in an unexpected location. Our most recent summit was in Black Hills, South Dakota, where we spent 3 days talking about what worked this year, what didn’t, and what our goals are for the future. Plus we saw buffalo. The tech summits are also a great opportunity to share ideas, reinforce the bond between the engineering and product teams, and connect in person. How do you handle feature requests? We act a bit like a consultancy in that when someone says they want us to build something, our first question is, “What are you trying to accomplish?” We’re always asking why. If you’re going to commit to a project, know what success looks like before you start . Once I know what the happy path looks like, I like to consider all the contingencies. In my experience, more than 50% of any UX project is figuring out the edge cases . You have to think about the unexpected—not just things failing from a technical perspective, but the kinds of quandaries and concerns that, if not anticipated, lead to frustrated users and failed products. One thing I like to do is write a simple narrative—like a screenplay—that describes a user journey: how they arrived, what they hope to do, what might make them stumble. Putting it in words helps me get away from my own biases and allows me to uncover things I might not normally consider. What’s your background, and how did you wind up at TED? I didn’t have a straight path to where I am now. My Bachelor’s and Master’s degrees were in fine art, but after grad school I decided I wanted to make things for people to use or interact with—things with a function or purpose. This led naturally to design. These were the early days of the web when we were all just figuring it out. Most of my career thereafter was spent on the agency side of things, but over time I grew frustrated with the fact that, as a consultant, I didn’t really own the products I was designing and couldn’t help them evolve and improve after launch. Plus I was often disconnected from the engineers building them. So about 6 years ago I moved to a tech firm that was in the business of designing, building and maintaining products. 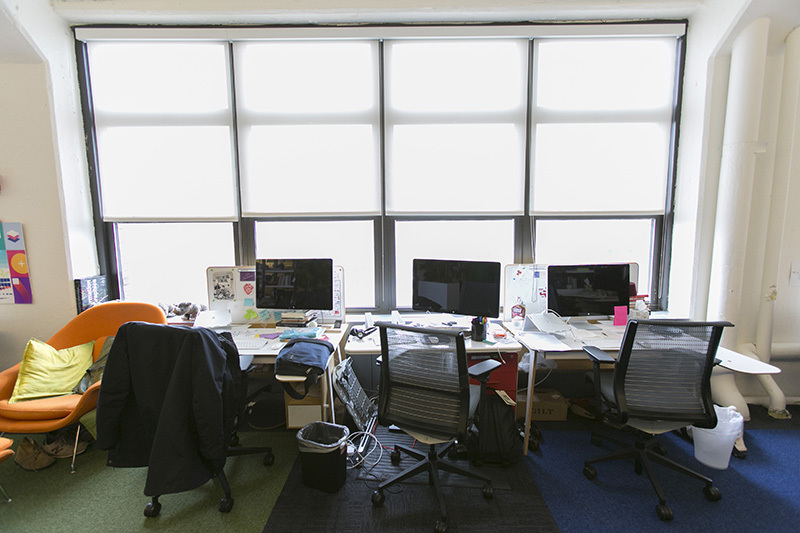 I was the only UX guy—it was exhilarating. 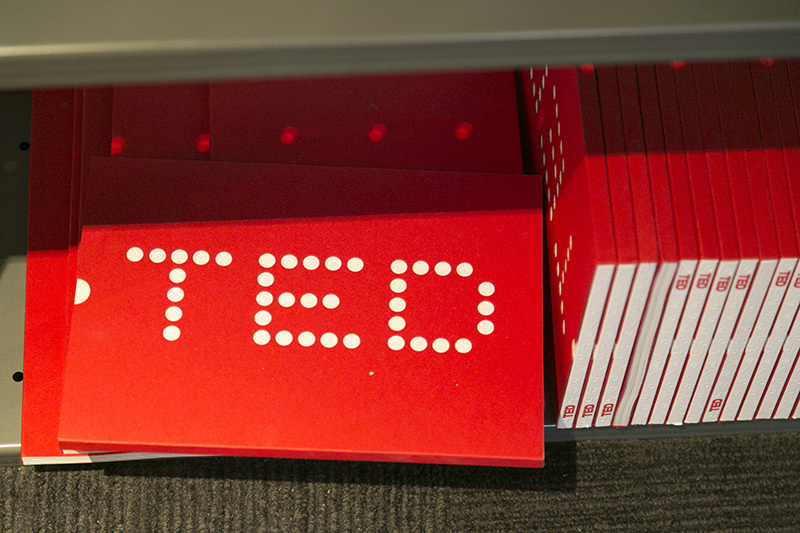 Thanks to that transition—and a bit of serendipity—I wound up at TED a couple years later. It’s been the greatest leap in my career so far. Have your life experiences influenced your work? One of my sons has health and developmental issues. After his autism diagnosis, I designed and developed an app that helps parents understand whether their children might be showing signs of autism. I’m also in the process of reconceptualizing the autism spectrum with the help of a couple of leading autism researchers. I’m firmly committed to TED’s mission of spreading transformative ideas, and I’m becoming a more vocal advocate for accessibility. In short, my son’s issues have had a profound effect on me and my career choices. I feel I’ve become a much more purpose-driven designer. How important are job titles? I’ve had numerous titles, from Creative Director to Senior Visual Systems Architect. These days, titles can get quite overblown. At the end of the day, though, I consider myself a designer. I do the things a designer does: I listen, learn, research, write, sketch, prototype, produce, review, revise. This work leads to an end-product—something people interact with. To me, a title lets people know your role in an organization, but what you actually produce is what defines you. That said, I like having “UX” in my title. It means I’m the one on the hook for making sure users are happy, and that’s always been my motivation. How is your workstation set up? I use an adjustable platform so I can sit or stand at my desk. I was skeptical at first, but now my knees are thanking me. I use a MacBook Pro attached to a 27-inch Apple Cinema display, and a phone/tablet stand to review mobile designs. I keep my trusty Tornado Rollerball pen and a few sketchbooks within arm’s reach, but otherwise my desk is clutter-free. How has InVision helped your team? We have very accelerated timelines, so I often skip the development of detailed functional specs and requirements. InVision lets me share my work with stakeholders, users, and engineers early in the process: I annotate my thoughts on how certain features should work, and they can ask questions or make suggestions directly in the mockups. Once we move into development, I’ll use InVision’s snapshot tool to capture screens and leave feedback and questions for the engineers. This is far more efficient than sending feedback via email. When people ask what InVision is, I say it’s a collaboration tool that lets us share our work early and often, reducing the chance we’ll make critical mistakes. It streamlines the entire design and development process. 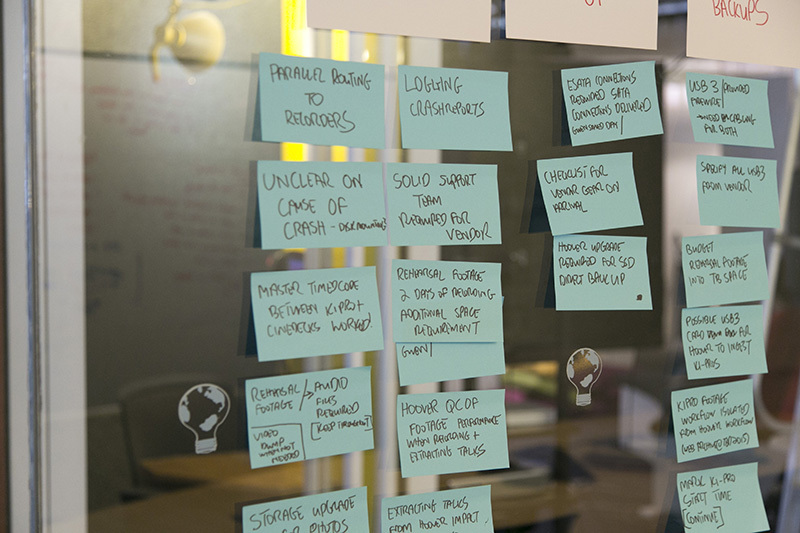 Do you have any advice for new or aspiring UX designers? Focus on being a student of human nature: understand how people think and act, and how your work can help them accomplish their goals. Don’t be afraid to put your work in front of people and get honest feedback —even if it’s painful. It can sting at first, but ultimately it’s humbling and enlightening, and it’ll transform your work from decorative to purposeful. One more thing: if you don’t have any great student or professional projects in your portfolio, don’t worry. Look at the apps and sites you use frequently, identify the ones you think can be improved, and do your own redesign project. Document everything you do, and share it with others. 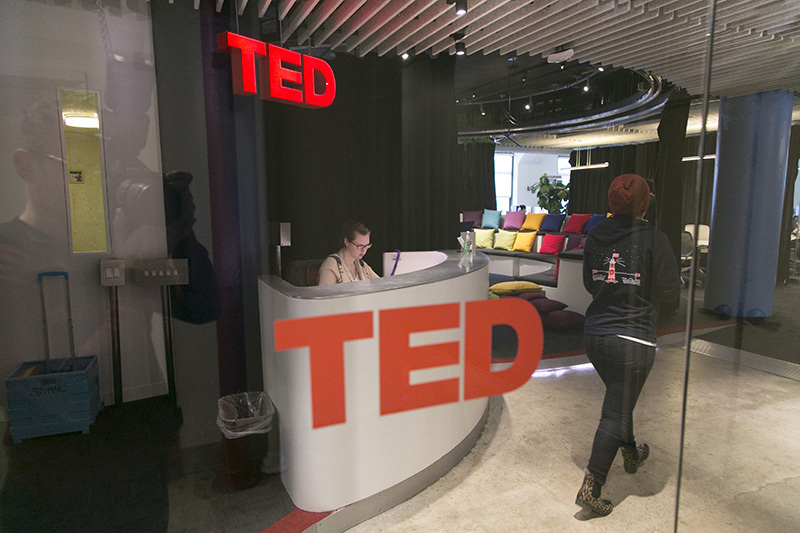 What’s the most valuable thing you’ve learned while working at TED? Up to this point, I’d always assumed people and organizations needed a vision—some kind of big picture. This has stayed with me ever since: values allow you to stay on course without chasing a mirage .